Over the last decade or so, if we've heard it from players once, we've heard it 1000 times. "Why don't tracks work harder and promote their bets and their pools, if they have something to offer"
The monopoly mentality of racing is hard to shake. For years and years, if a track put on a race, people would come. "People would come" might be mis-phrased. It was more like "people had to come because there was nowhere else to gamble." It is not like that any longer. As most know, it is extremely difficult to get noticed if you are a smaller venue. And it is an even more difficult task to get takeout lowered industry-wide. What we are left with as players, and with smaller tracks, is smaller pools and or increasing takeout. Often times when a track decreases their takeout, they do it in a small increment, for a short period of time. Understandably, this rarely works. For a takeout decrease of any kind, it must be stuck with and worked. High takeouts have hurt the business since about 1940. It won't be fixed with short-term experiments. However, one track is proving that taking a shot and working a bet properly, is paying off. 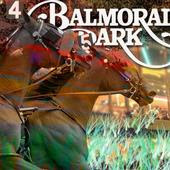 Balmoral Park, a harness track in Illinois, lowered their pick 4 takeout to 15% this year, and they went to work. We at HANA, as well as several groups, get updates on the wager. We get carryover information, and often times get a tip sheet, sent out by the track handicapper. Yesterday we received an email alerting us that the carryover was $19,000. A $19k carryover, and a 15% take is a good bet for players. In the email, the track said they expected a $60k pool. What makes the number more amazing, is that last year this track averaged about $8000 a pick 4 pool, and nothing near 104K, even when they had a carryover. In fact, the new betting last night (at 15% take), almost paid for the purses of the 4 race sequence (purses averaged about $3200 a race). I watched the coverage of the pick 4 (and bet into it too). On screen they pushed it, letting people know the pool size, talking about the bet and updating players. Players want to bet into a good pool and a good low take bet, and they want to follow it. Sometimes you just have to ask. This season, the wager is blowing away last seasons' numbers. It gives a small track hope and of course, for players, it gives them a worthwhile bet to follow. Why this was not done when slots came in at all venues (using some slot money to grow handles as well as fatten the coffers) is beyond us, but we see more and more tracks doing it - ironically, many tracks which do not even have slots. Portland Meadows, it was announced Friday, has joined the brigade. They are offering a new pick 4 at a 14% takeout - the lowest pick four takeout in North America! The meet opens October 4th. The new low take goes into effect that day. Retama and their low take pick 3 (the pools there are growing a little bit which is great to see), Balmoral Park's pick 4, and now Portland Meadows. A few tracks are trying, and players are paying attention. This will not shake the foundations of racing, nor will it "save it". But one thing is for sure - some tracks trying to get players back by offering what rebate shops and offshore betting establishments have excelled with for years (lower pricing for all), is a step in the right direction.